On the day of the race, the weather was very clear and sunny, with a temperature of about - 5 °C (23 °F). The Baikal nature is breathtaking with high mountains surrounding the lake, black ice beneath your feet, incredible patterns covering the ice and astonishingly picturesque cracks, through which Baikal breathes. We ran across one of such cracks on a pre-constructed bridge, and later, when everyone was already at the reception, we heard a powerful burst and saw that crack widen by a few meters. 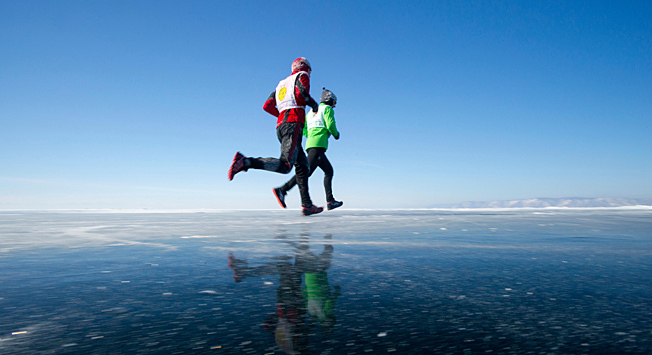 So this marathon lives up to its reputation as one of the most extreme in the world.